The Zephyr Express Chairlift and The Lodge at Sunspot will be open daily, beginning Saturday, June 20. For up-to-the-minute trail information, call the Winter Park Resort Information Center at 726-1564. Long Trail OPEN …Open from 5 Points Intersection to the Base Area. Access 5 Points using the service road from the top. 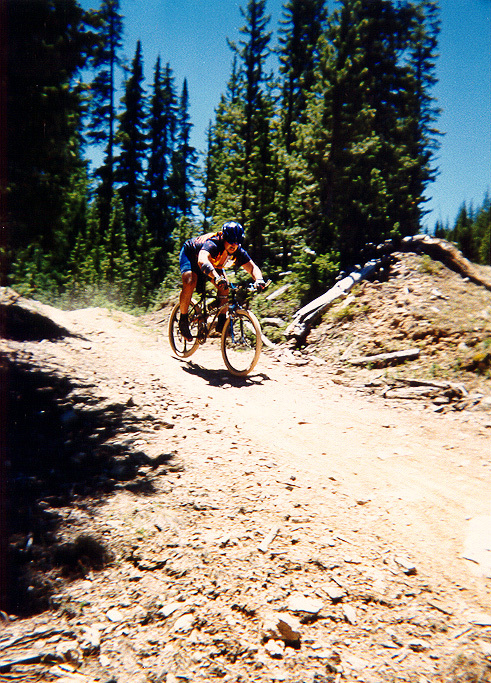 (biking only) CLOSED A steeper descent with quick, dry surfaces for serious riders and racers-in-training. This trail is closed to hikers. Upper Roof of the Rockies CLOSED A healthy climb crossing upper sections of the Mary Jane ski trail, then on to a beautifully wooded, winding trail. This trail will then intersect with the Lower Roof trail. Lower Roof of the Rockies CLOSED A moderate single-track trail with very few hills to negotiate — take this trail out to Fantasy Meadow. Gunbarrel CLOSED A short access road connecting Lower Roof of the Rockies and the Long Trail. Take time to enjoy the view from the top of Pioneer Express lift. Fantasy Meadow CLOSED A beautiful loop with views of Vasquez cirque and colorful wildflowers. A nice detour from Lower Roof. Mountain Goat CLOSED Our most technical, challenging trail — experts only! 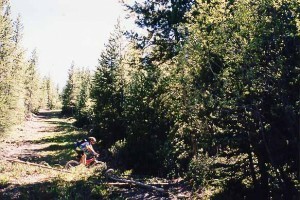 Killer singletrack with speed. Arapahoe OPEN Winding through the trees is a great way to add an extra “loop” to your Long Trail experience. Look for this trailhead just north of the five-points intersection. Sorenson Park Loop CLOSED 1/4-mile practice loop for beginners and students in mountain bike clinics. A great place to get started. Nystrom Hiking Trail CLOSED Will open as tundra surface conditions permit. NOTE: Please check at their tent for current updates. At the time of this printing, Winter Park Resort plans to open the single-track trails as listed above. Additional trails will be opened as conditions permits. Please respect Tread Lightly guidelines and stay off closed trails.